The iPod touch did receive some attention today at Apple’s “It’s only rock and roll, but we like it.” event however, it might not have been what everyone was expecting. 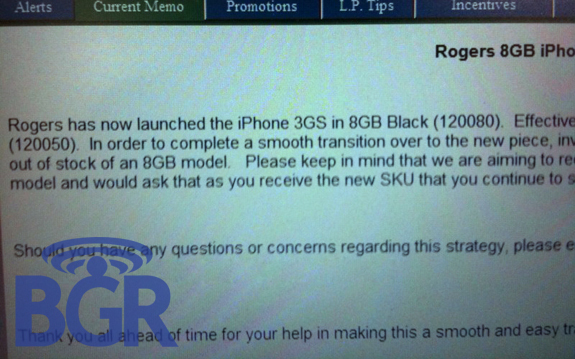 Last week, I wrote about a rumor that strongly indicated the release of an 8GB iPhone 3GS. Well, it seems that the guys over at MacRumors have confirmed this rumor. 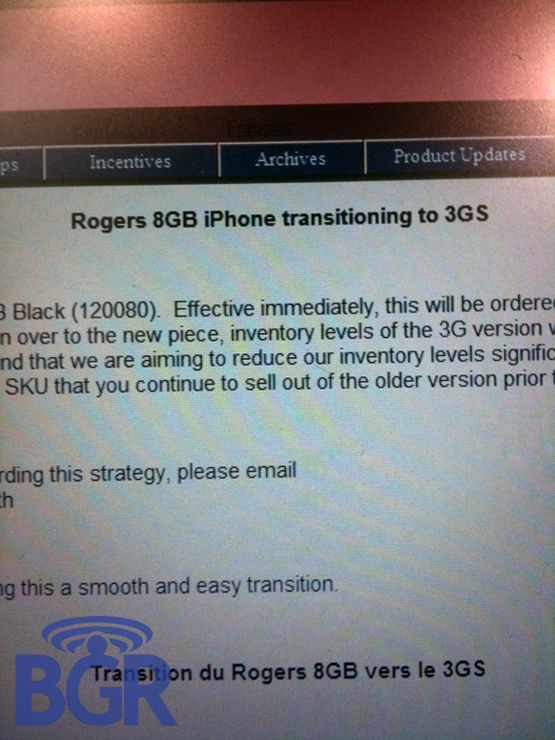 Apparently, on Roger’s website, there is now a comparison of the iPhone 3GS that includes an 8GB version of the phone. 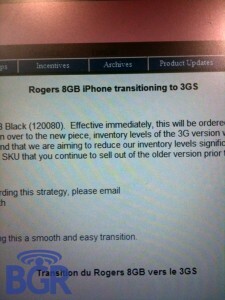 So I guess that the leaked Rogers internal memo from last week was the real deal!